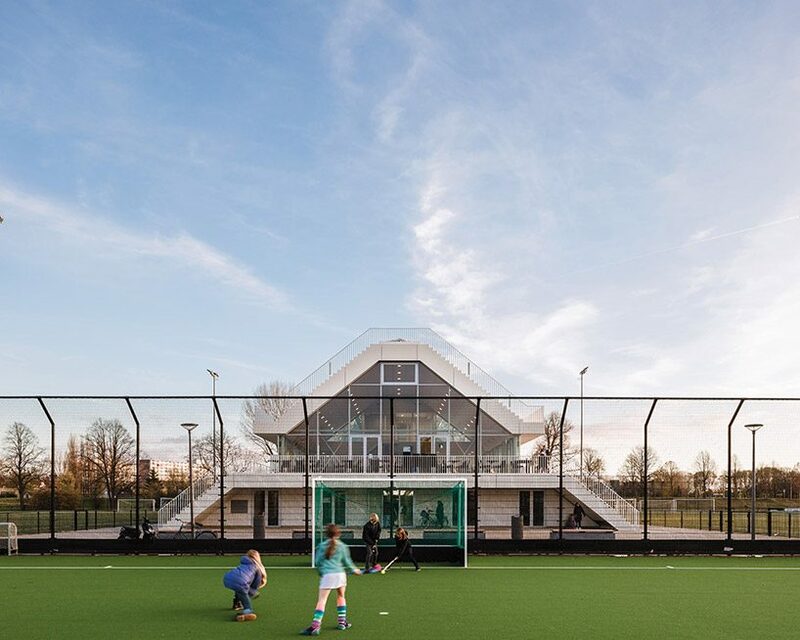 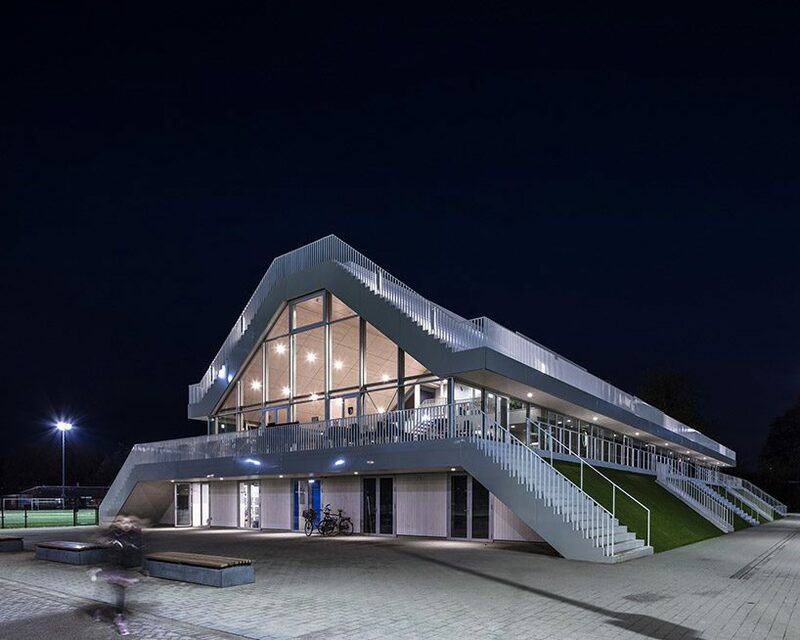 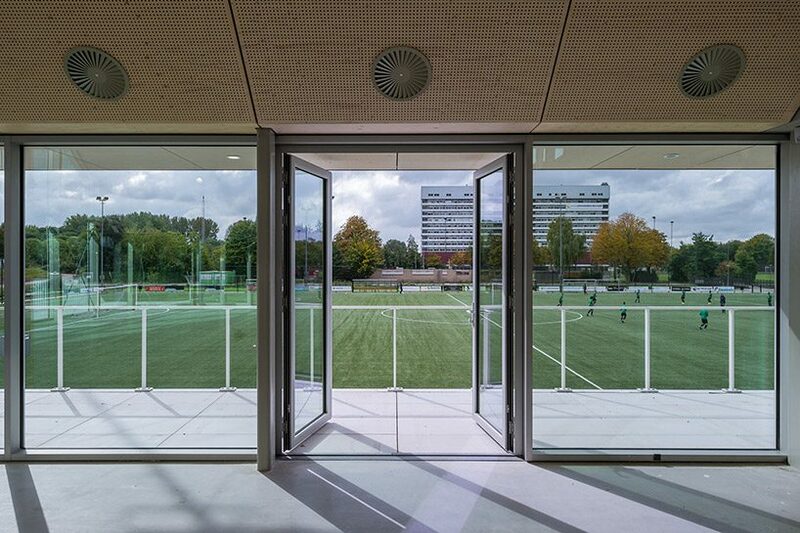 to unite three sports clubs of different backgrounds, dutch practice NL architects has designed a building which meets the requirements of both soccer and hockey teams. 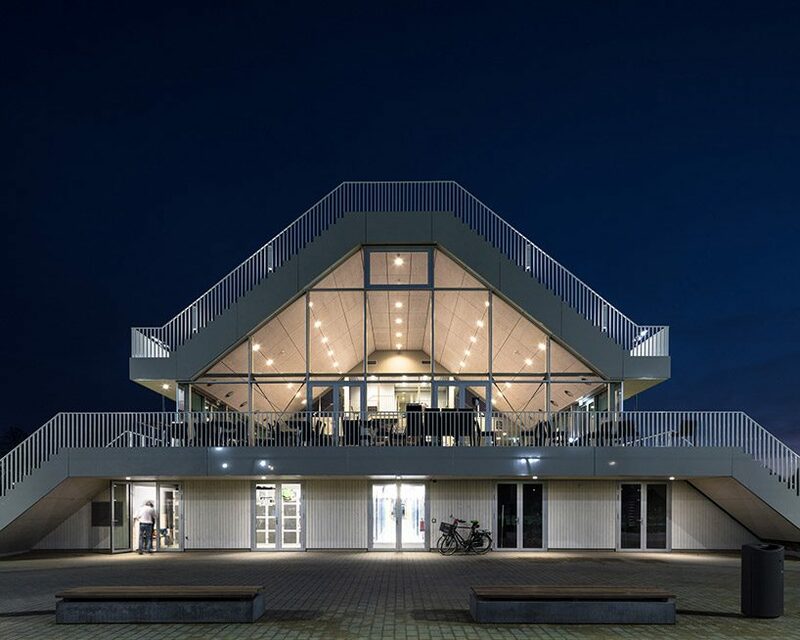 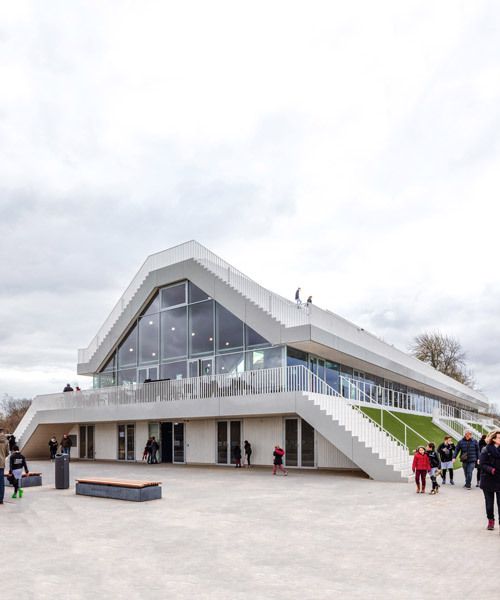 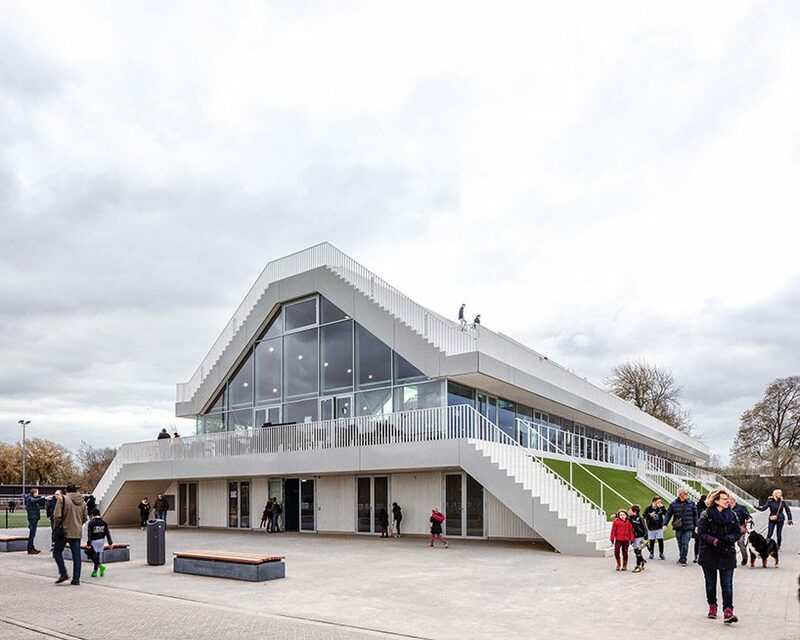 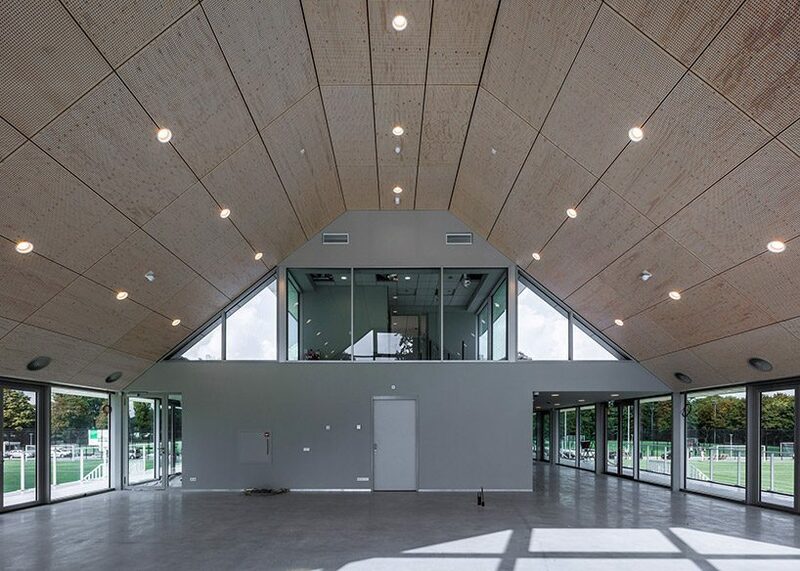 placed between two sports fields in rotterdam, the pitched roof of ‘varkenoord’ features a grandstand facing in both directions so that visitors can watch the games from above. 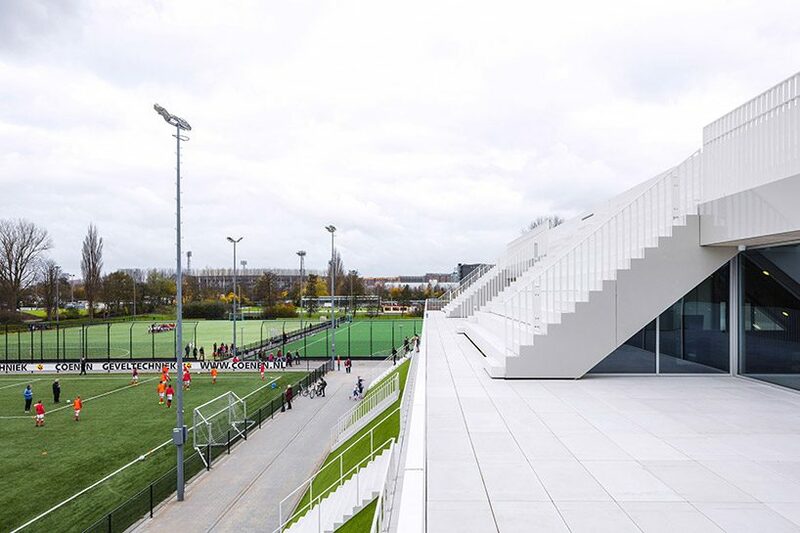 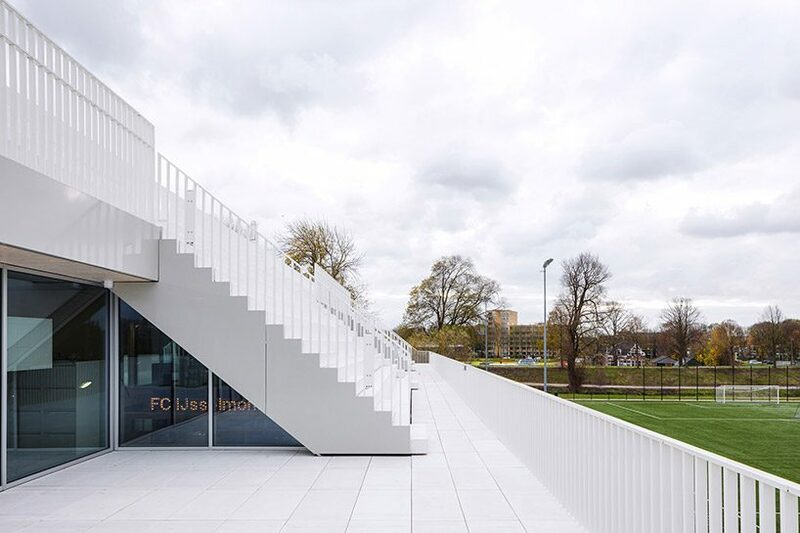 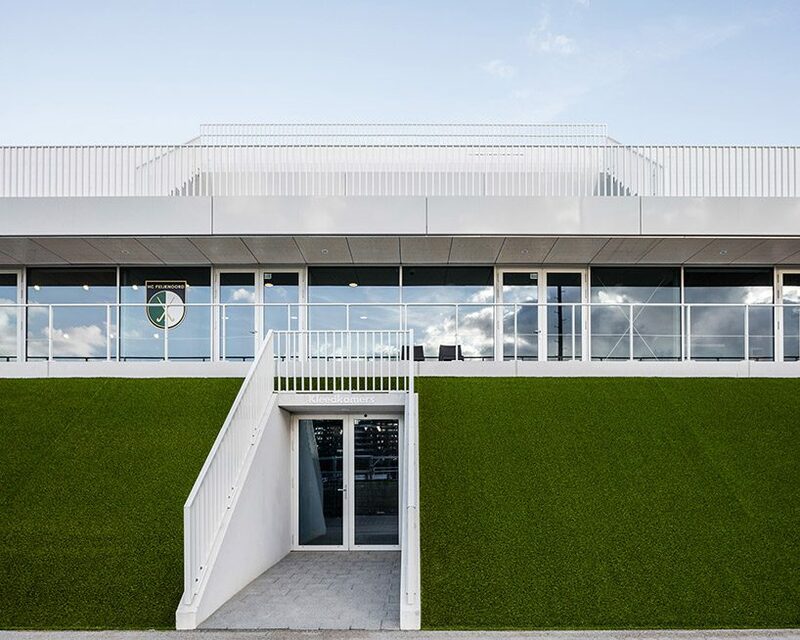 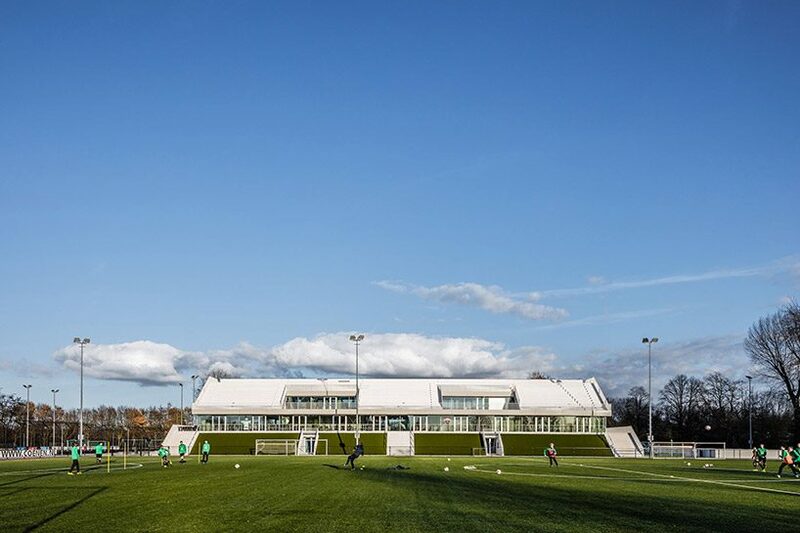 at ground level, the changing rooms are covered with walkable sloped façades that merge with the fields thanks to the use of artificial grass. 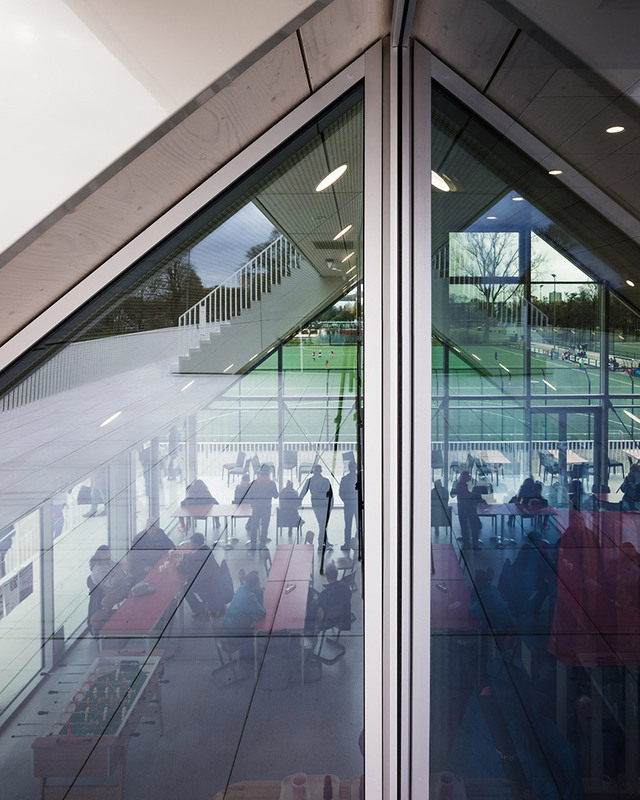 above the green basement, a glass pavilion includes panoramic windows that allow visitors to enjoy the views from the building’s offices, meeting rooms, and bars. 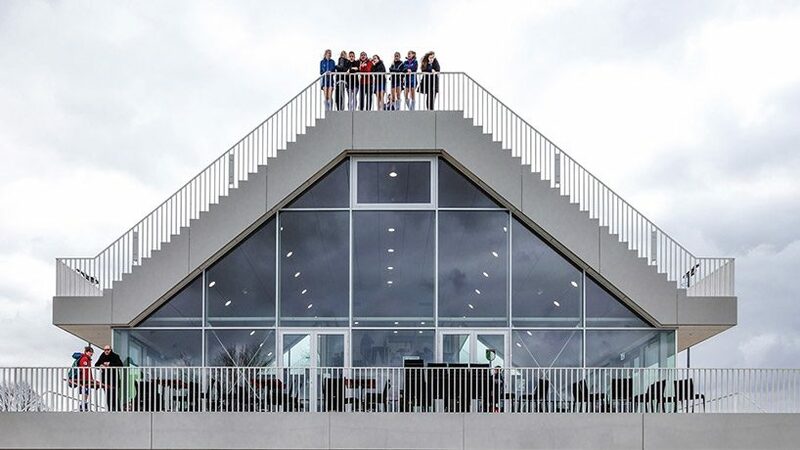 the terrace on the bottom of the grandstand overlooks all 360 degrees of the surroundings. 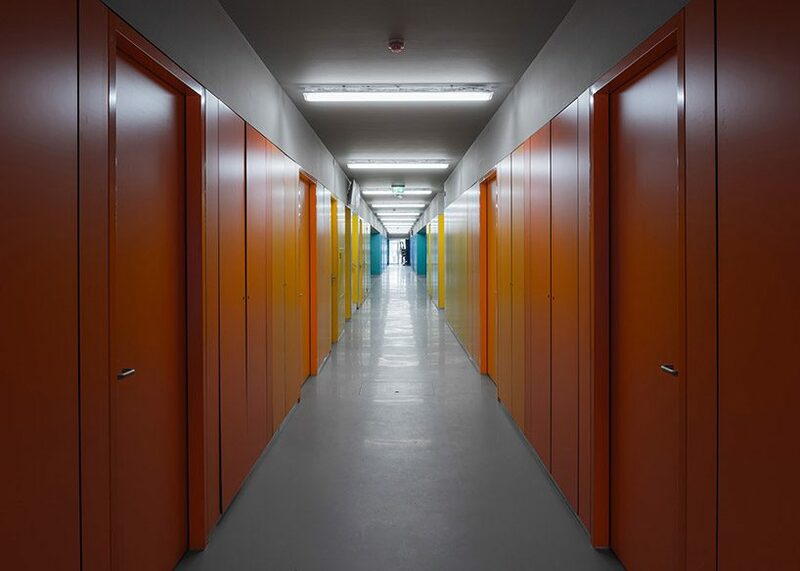 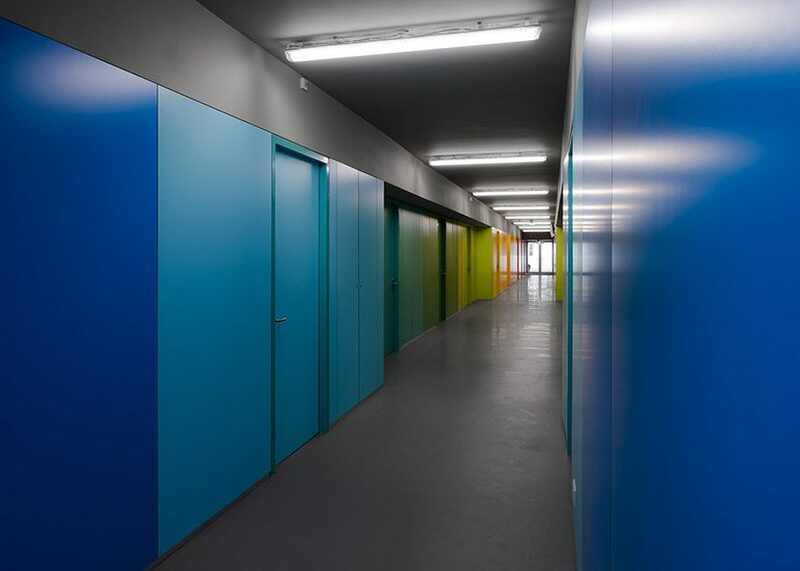 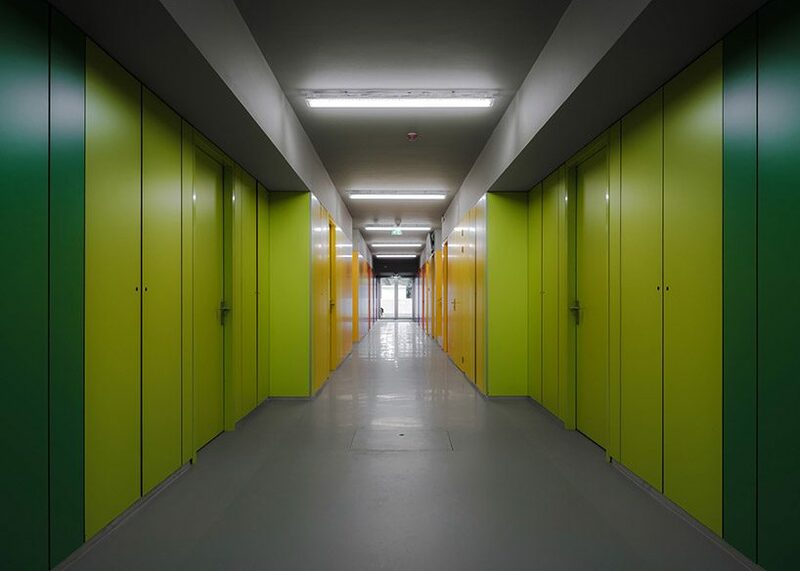 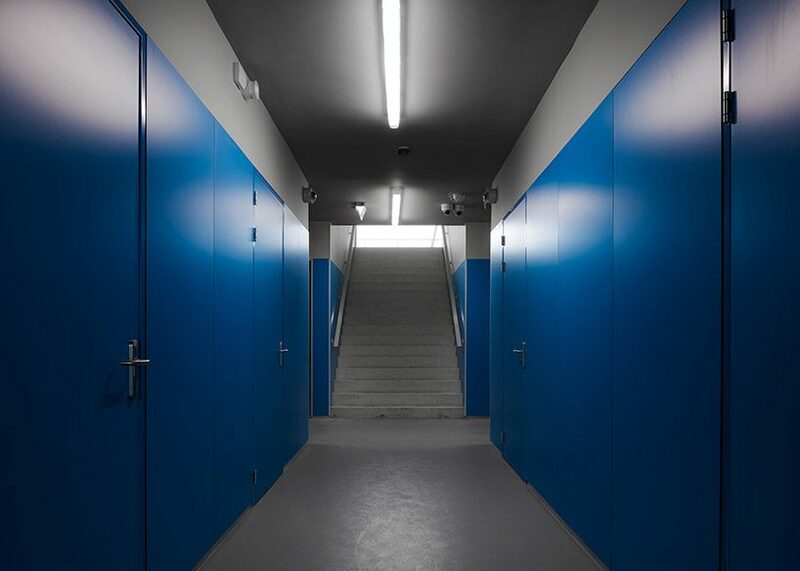 NL architects has painted the corridors of the ground floor in a changing color palette — the walls, containing storage spaces, gradually turn from red into yellow, green, and blue, while the ceiling is kept grey throughout. 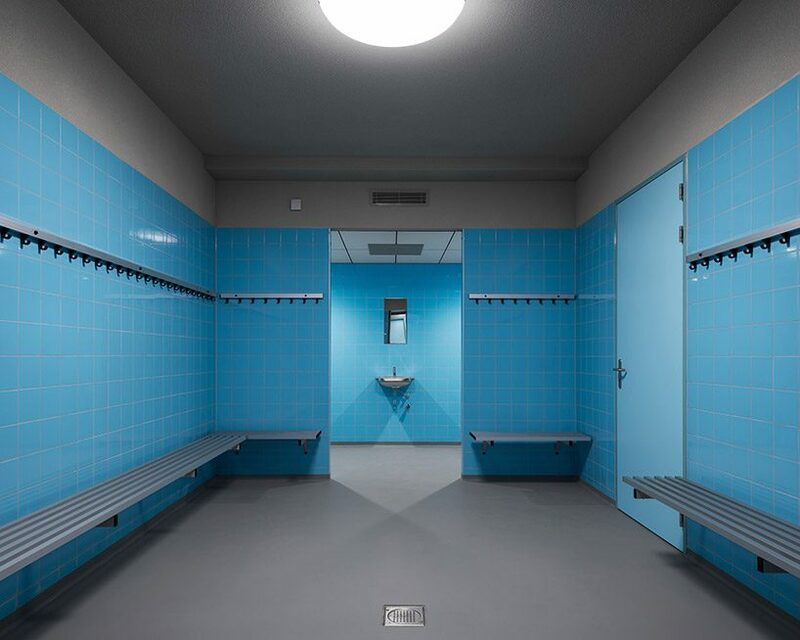 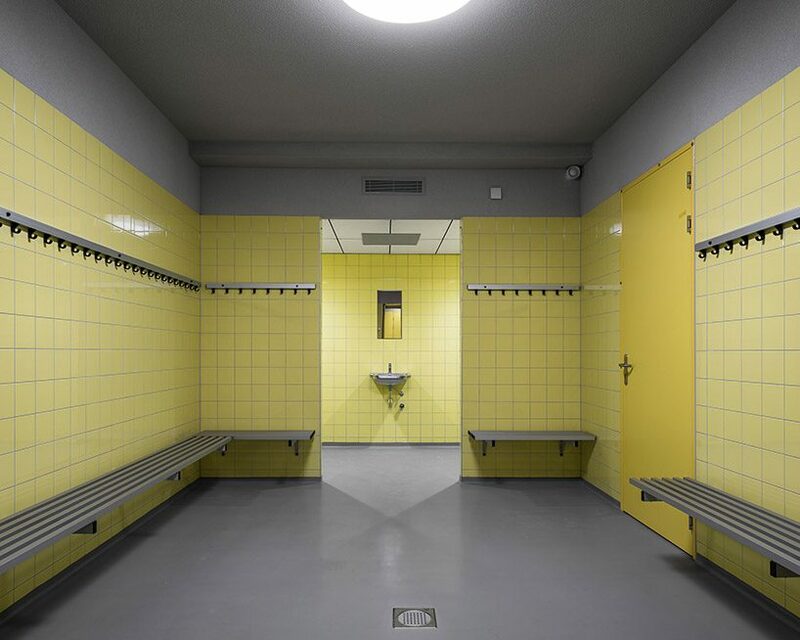 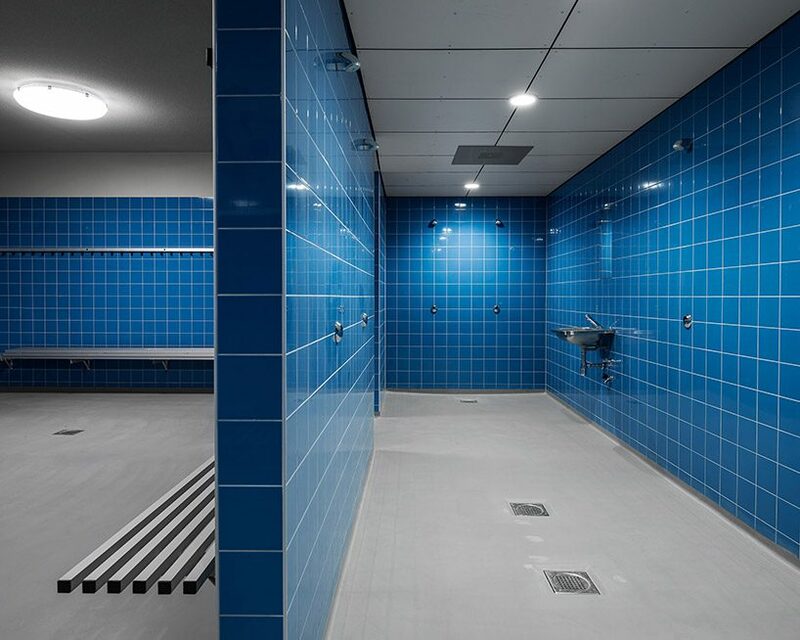 the changing rooms are clad with ceramic tiles that correspond to the different colors of each club. 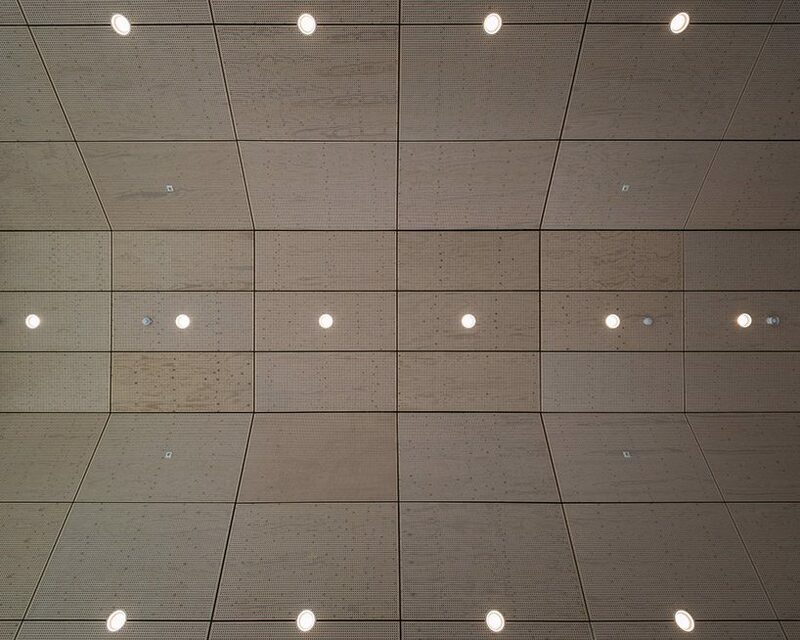 the public spaces on the upper levels feature very high ceilings, which make them airy and bright. 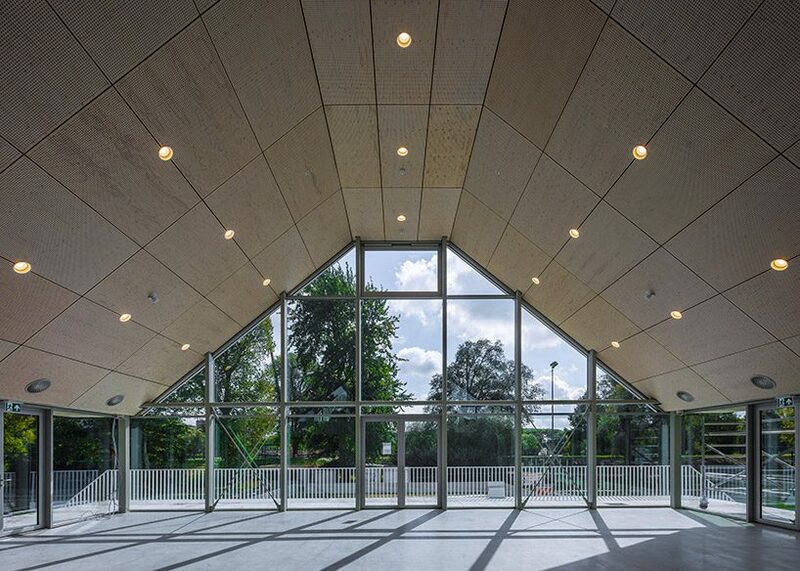 the transparency of the building provides the constant access of the sunlight during the day.